Principal Balanced Fund has won the 2018 Thomson Reuters Lipper Fund Award. Principal Balanced Fund – Growth was adjudged the winner in the Mixed Asset INR Balanced (3 Years) Performance category. Lipper awards recognize funds and fund management firms that have excelled in providing consistently strong risk-adjusted performance relative to their peers, based on Lipper’s proprietary performance-based methodology. 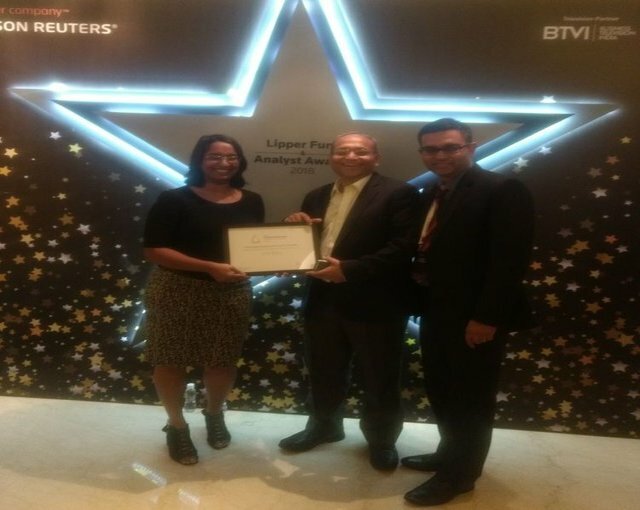 On 4th May, RajatJain, Chief Investment Officer & Bekxy Kuriakose, Head – Fixed Income, received the awards on behalf of the investments team in a glittering ceremony at Hotel Trident in Mumbai. Winning the Lipper Award is a testimony to the stock selection abilities of the fund managers and analysts.